Enveloped on all sides by a sea of natural preserve, S.L. Rey acts as a private island of residences offering families access to the area's most highly-regarded schools w/ Bonsall Elementary School uniquely located in the heart of the community. This Single story home offers 2,029 sqft of open concept Kitchen, Dining & Great Room living! Also features 3 bedrooms, 2.5 bathrooms with an Outdoor Living room that overlooks the former San Luis Rey Downs Golf Course. QUICK MOVE-IN!, LOW TAXES-NO MELLO!, Introducing S.L. Rey, a new community of family residences envisioned and encompassed by nature in Bonsall, CA by California West. S.L. 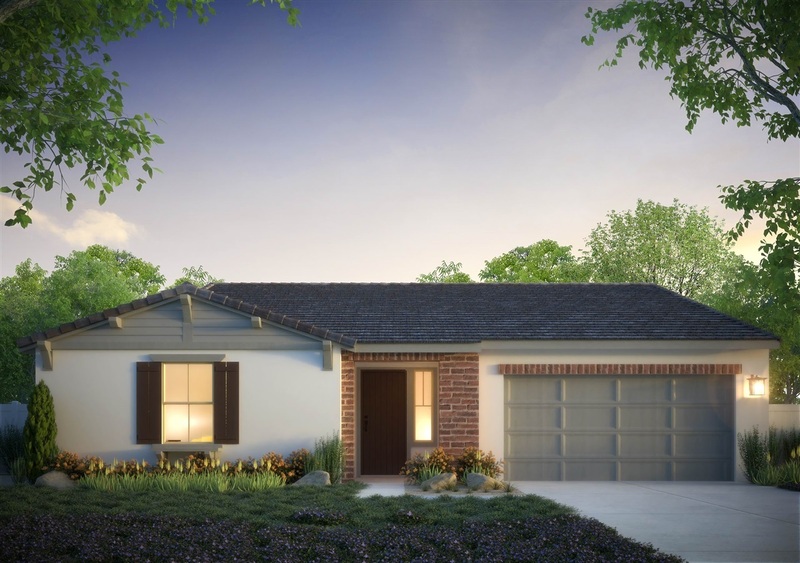 Rey will feature 93 one- and two-story homes that showcase spacious homesites and range from 2,029 to 3,382 sq. ft. of living space. HOME INCLUDES UPGRADED FLOORING!!! *Specifications and features set above are to the best of the sellers knowledge, accurate as of the date hereof. Notwithstanding this fact, this listing is for informational purposes only and may not list all options, upgrades or decorator items. Seller reserves the right to change specification of features and upgrades included in this home, as necessary for time to time. Photos/virtual tours are of model home or renderings which are for artist conception only, not actual house. 2 CAR Garage is subject to vehicle specifications/size.